Many parents are now questioning the way vaccines are used and the increasing numbers numbers given to small children. What many families do not realise is that there are at least five different choices that can be made depending on your knowledge of your own child and family history, and what you feel is appropriate given this knowledge. For example you may decide to delay or avoid certain vaccines if you have a family history of allergy, auto immune illness or inflammatory brain experiences. The latter shows itself by high fevers and high pitched screams after vaccination followed by developmental delays or behavioural difficulties. There is also a sizeable group of children who do not have the right enzymes to detoxify the harmful chemicals and metals in vaccines. I will go through the choices so that you can see what is possible. The important thing to remember is ‘trust your own parental instinct, you know your child best’ and do your own research, a few minutes of research can save a lifetime of regret. Most of the information here is from American sources, the reason for this is that they have a more robust freedom of information law than we do in this country. Much of it is just as applicable to the UK as the US. 1: You can accept full vaccination from birth throughout life. The younger a child is when vaccinated the greater the danger of damage to the immune and nervous system. It takes many months before a baby’s immune system is working, so vaccinating before then is really a waste of time. Prior to this point the baby receives antibodies from its mother through breast milk. Breast fed babies go on receiving protection from their mother for as long as she chooses to nurse, which makes breast feeding the best source of protection for a baby. Babies fed formula milk are not receiving these important antibodies from their mother and so vaccination can potentially cause even more harm. The more vaccines a baby has the more likely the immune system is to become confused. 2: You could choose to delay vaccination until your child is over the age of 2. That is what the Japanese government decided to do when their doctors became concerned about the steep rise in autism and SIDS rates in Japan. Since implementing this policy autism and SIDS rates have dropped back to pre-early- vaccine levels. You could decide to choose to have only those vaccines you consider essential. My generation had only three vaccinations and we seemed to survive ok. For example the flu vaccine is largely ineffective and has given lots of people the flu. Plus it has high levels of mercury in which has been linked to brain inflammation and degenerative neurological disorders. 3: You could choose to have the combined triple jabs as separate individual injections which would be safer. No one catches three viruses simultaneously; this is enormous pressure to put on a babies undeveloped immune system. The other advantage to this approach is that it will be much easier to identify a reaction to a specific vaccine if your baby only receives one at a time. You may have difficulty encouraging your GP to see your point of view, but then again it is your child you care about not the convenience of the drug manufacturers. 4: You could choose to avoid vaccination altogether and take the risk that your child might get sick. Sickness from common childhood illness is rarely catastrophic, just a nuisance. My generation went to chicken pox and measles parties and survived having acquired lifelong immunity in the process. Most artificial vaccines confer only ten years immunity at best. Getting these childhood illnesses as an adolescent or an adult is much more dangerous. If you choose not to vaccinate you should take care to nourish and build up your child’s immune system. There are several ways to do this. Breastfeeding for a couple of years to confer immunity is highly recommended. Make sure your child gets sufficient sleep and keep all electronic devices out of the bedroom at night so as not to disrupt this. Encourage outdoor activity such as walking, cycling, climbing and running. It’s amazing how much difference fresh air and sunshine can make to our health. Give your child firm boundaries and stick to them. Children need to know what is expected of them and to be praised when they behave appropriately but they also need to know you genuinely enjoy their company. Limit TV time. Although we are all guilty of being a bit too fond of the telly, the developing mind of a child needs so much more stimulation than cbeebies has to offer. When sick allow the fever to develop, it stimulates the immune system and helps develop immunity. Also many parents have noticed growth spurts after a naturally managed fever. Of course if fever is unnaturally high seek medical advice. Avoid the use of Calpol and other drugs as it circumvents this process. Instead of focussing on ridding the body of a virus, the liver must instead process the drugs, meaning the illness will last longer and could have more potential complications Do not ask your GP for antibiotics for viral infections they only work for bacterial ones. All children benefit from taking fish oil (eye Q), vitamin D3 and a good quality multi-vitamin and mineral preparation developed for children. We live in a very toxic environment. A child today is born with up to 200 chemicals in his/her bloodstream (we have become aware in recent years that toxins pass through the placenta) Fifty years ago they would have only been exposed to one or two! There may be other supplements your child may need specific to their own body; you should consult a nutritionally qualified practitioner who will identify their needs. He tracked the progress of three groups of children a) the fully vaccinated, b) the unvaccinated, c) those with homeprophylactic protection. What was most startling was that the results showed the latter group were the healthiest and had the best immunity. This approach mimics the body’s own reaction to disease and confers long lasting immunity without any of the side effects and disadvantages of the conventional approach. This is the method that I use in my clinic. I also have a biological approach to treating children who have been damaged by too many vaccines. 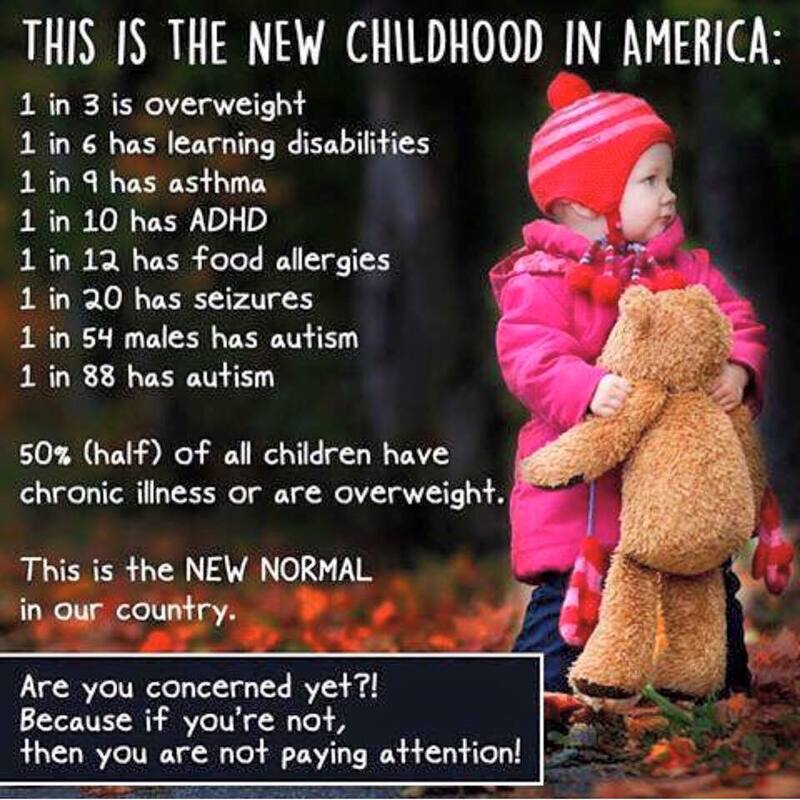 Symptoms include asthma, eczema, allergies, immune malfunction, brain inflammation leading to autism spectrum disorders, adhd and many other neurological problems. Finally, always, always ask to see the package inserts in any vaccinations that you are offered. This should be an extremely lengthy document included with the vaccine, not a small leaflet with very little information that the medical professional will probably produce at your request. The system for filtering toxins out of anything lies in your child’s skin, mucous membranes and digestive system; toxins are identified and expelled via the liver and kidneys and can then be excreted. Anything injected into the bloodstream completely bypasses these natural defence mechanisms, instead circulating around the body and potentially passing through the blood brain barrier. Here are some facts to bear in mind when you are deciding what to do. Since 1986, pharmaceutical companies have had complete immunity from liability for vaccine damage. This means that all compensation paid out to parents of vaccine injured children comes from taxes, not the companies who produced the drug. Why would these companies care about the best interests of your child when they are under no obligation to? Most vaccines have not been safety tested for the group they are given to, ie. babies, pregnant women, the elderly and the immune challenged. No comparative studies have ever been made between vaccinated and unvaccinated groups. The science is compromised. Safety studies are conducted by the same pharmaceutical companies that manufacture the drugs. This is a huge conflict of interests. There has never been a double-blind placebo controlled trial for a vaccine, although this is a requirement for any other drug. There is absolutely no proof that any vaccine has ever worked to eradicate or lessen the effects of a disease. Every single well known infectious disease against which we vaccinate was already dying out before vaccinations were introduced. The dramatic reduction in these illnesses was due in large part to better sanitation, hygiene and nutrition. For more on the history of vaccination read Dr. Suzanne Humphries ‘Dissolving Illusions’ or go to her website: www.drsuzanne.net The most important thing you can do for your child is to really do your own unbiased research. This information is not readily available as most internet searches will bring up websites for ‘for-profit’ organisations that have a financial incentive to encourage you to vaccinate such as the CDC or NHS. Instead try The National Vaccine Information Centre or the Vaccination Information Portal (non profit) and think hard- then make your choice. 2015.